People who are wed may come to a point where they can no longer come into any sort of agreement. In the event in which that happens, these people will no longer wish to remain wed. These people can decide whether or not they may apply for a divorce. A divorce is a legal separation in which both parties are no longer legally obligated support on another. Divorces happen on a daily basis, the process being difficult and taxing to those involved. 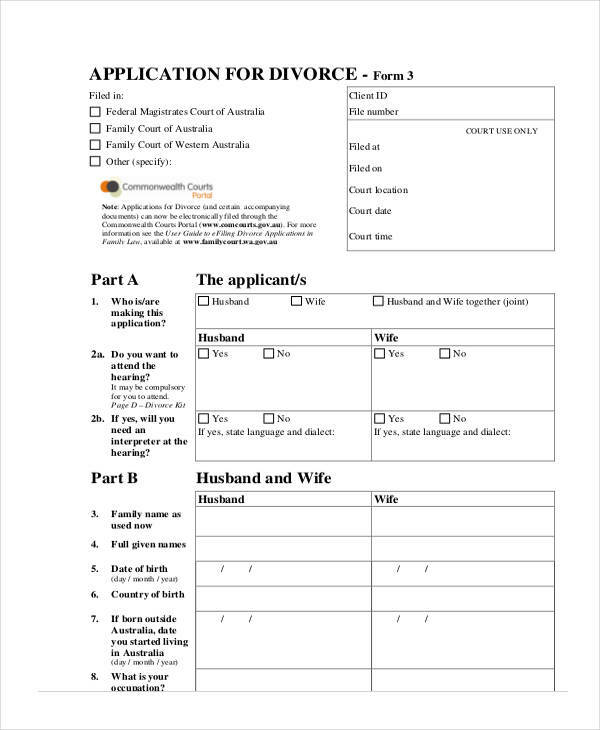 But in order for the divorce to be considered, these people must make use of Divorce Application Forms to assist them. 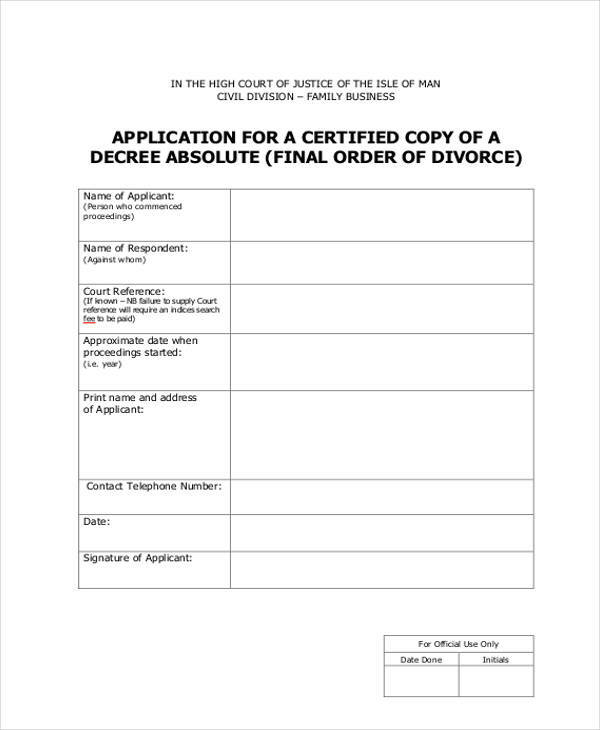 What Is a Divorce Application Form? 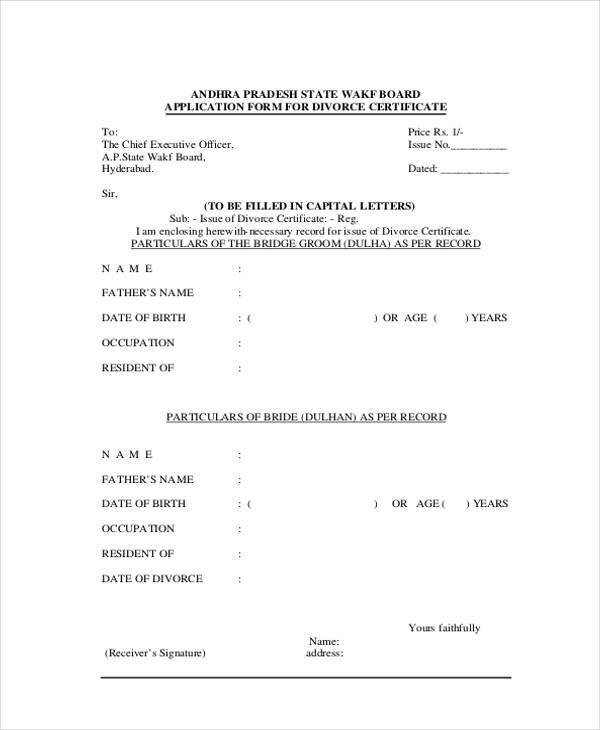 A divorce application form, as its names suggests, allows a married couple to apply for a divorce. 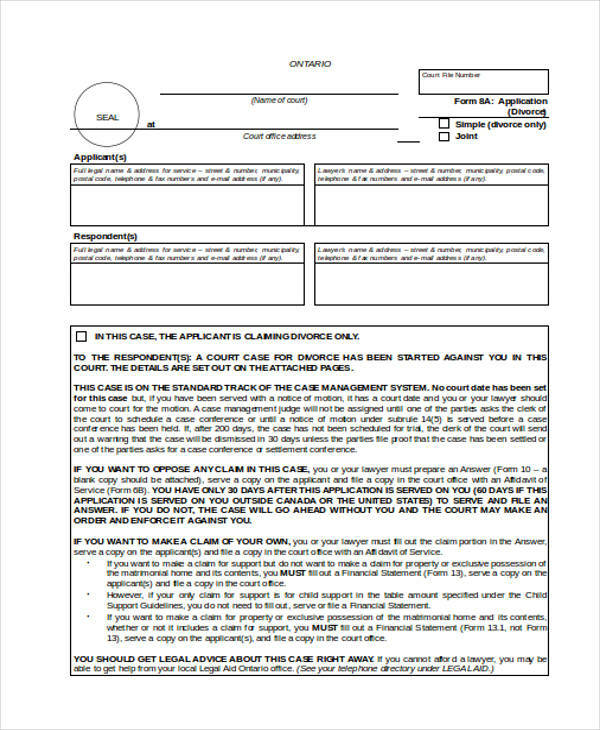 Using these forms suggest that both parties involved have come to an agreement that they wish to be officially separated under the court of law. These people will have to acquire the necessary requirements, similar to when using Grant Application Forms in which you will need to fulfill certain conditions before being handed out any kind of grant. So long as both applicants have fulfilled the requirements, such as obtaining the signatures of both for full consent, then there should be no problems in pushing through with the divorce. Be sure that all information is included when filling out these forms. 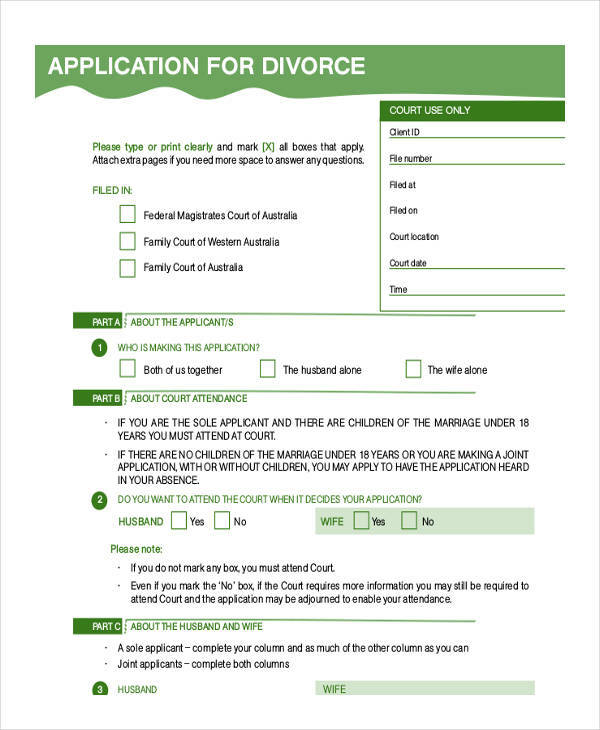 It is required by law that should any of the two members that are wed wish to file for divorce, they must do so by handing out an application to ensure a hearing. Much like almost any situation, you cannot be applicable for a divorce unless you inform the proper authorities that you would wish to apply for one. It is very similar to making use of Volunteer Application Forms in which you must meet certain conditions and agreements before anything can take place. In order for the divorce application to be finalized, it will require that both parties involved must state that they have given full consent. That can be arranged when both parties have given their names, as well as their signatures. 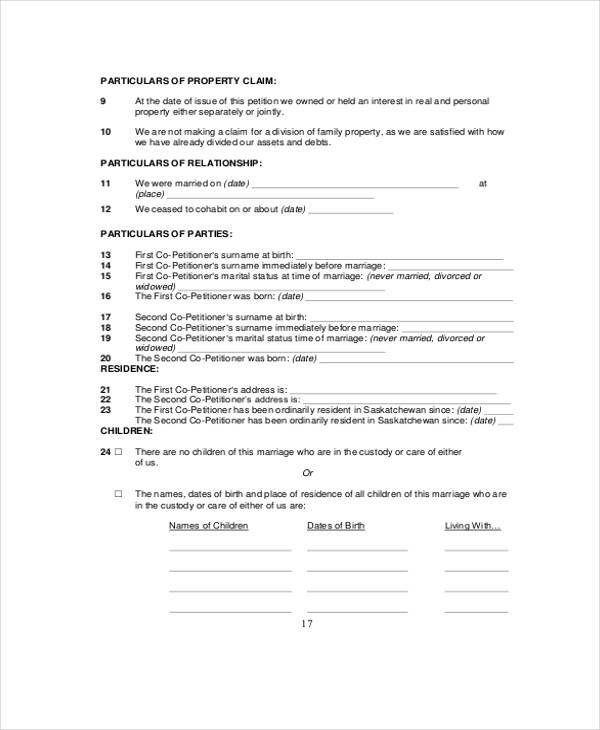 These people may then submit these forms to the court of law, which will then allow for a hearing in which both parties may discuss the terms and conditions of their divorce. The point of which will divide all shared assets between the two parties equally, and will help determine as to which of them are entitled to the rights and usage of certain properties. 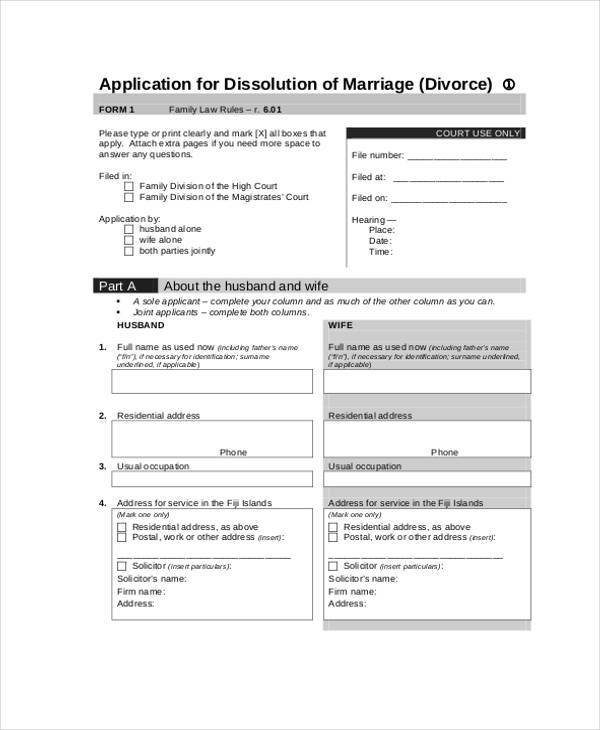 So be sure to properly fill out these forms in the event that you would like to file for a divorce.